A self-taught artist, Mattar Bin Lahej is a painter, sculptor, and photographer. He has nurtured his artistic talents and enhanced the quality of his work through continuous training, fieldwork, and experimentation. Bin Lahej has been recognized in recent years for his participation in exhibitions both locally and abroad, including in Germany, Kuwait, Morocco, Turkey, and the United States. Private collections throughout the Gulf region hold his work, which has also been featured in Bonhams auctions. In addition to creating his own art, he organizes and manages annual summer camps at his gallery, Marsam Mattar, to foster young talent. Bin Lahej oversees workshops throughout the Emirates and coordinates numerous exhibitions in his gallery and at other locations. He lives and works in Dubai. Mattar Bin Lahej’s artworks often highlight Arabian horses or falcons – both native to the Emirates – because they embody characteristics that he admires, such as courage and strength. The concept of movement permeates his large-scale paintings depicting these animals associated with two beloved Emirati sports, horseback riding and falconry. In Highness II, Bin Lahej pays homage to the latter, an activity he passionately pursues in his own life. For the artist, falconry provides not only an escape from the modern world but also celebrates the UAE’s heritage. 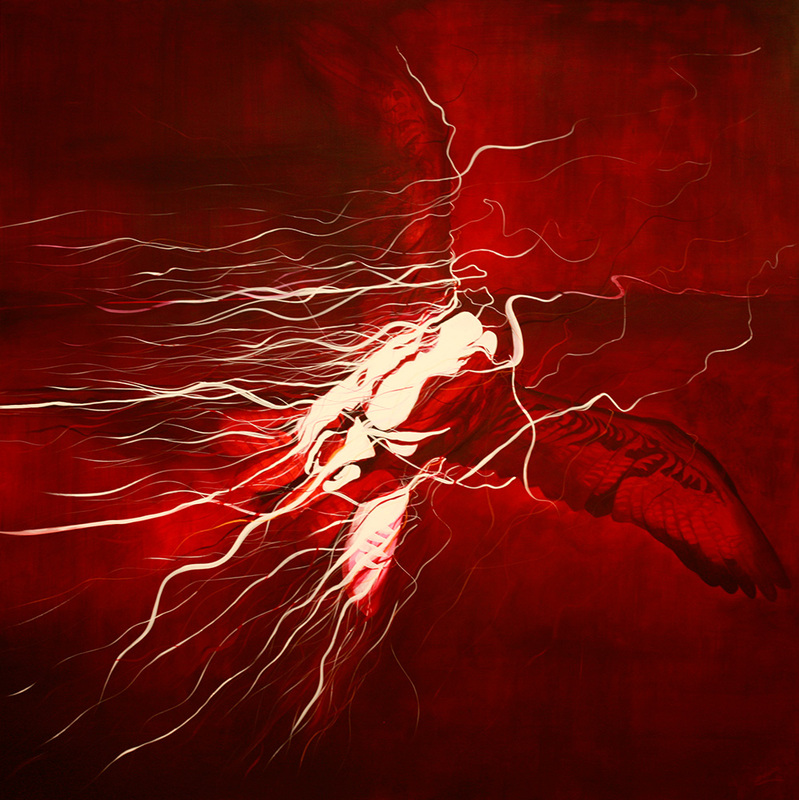 Using his dynamic, signature white brushstrokes, Bin Lahej encourages viewers to perceive the power, movement, and speed of the country’s national bird.